Mărimea acestei previzualizări PNG a acestui fișier SVG: 800 × 565 pixeli. Alte rezoluții: 320 × 226 pixeli | 640 × 452 pixeli | 1.024 × 723 pixeli | 1.280 × 904 pixeli | 850 × 600 pixeli. English: "Irish Republic" flag, flown over the General Post Office in Dublin during the Easter Rising in Ireland, 1916. 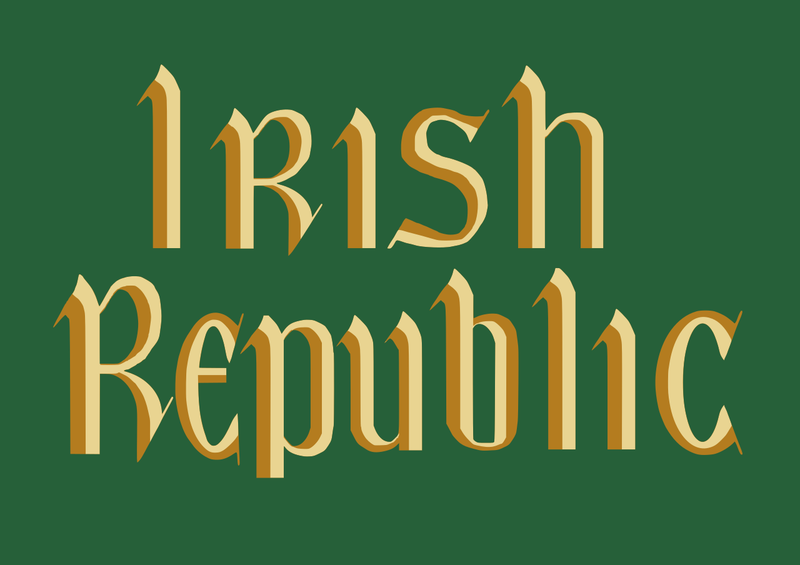 It was made by Mary Shannon at the headquarters of the Irish Citizen Army in Liberty Hall. Captured by British troops after the surrender of the rebels, it was returned to Ireland by the British Government in 1966. 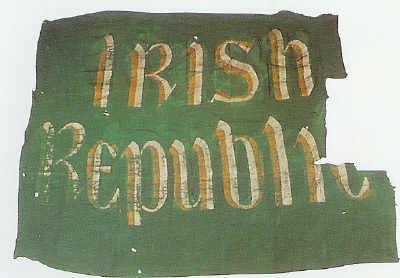 It is now on display in the National Museum of Ireland in Dublin. 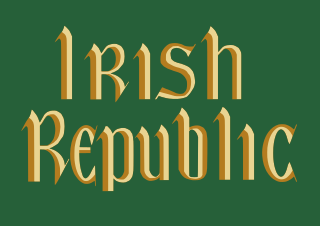 Some details of the flag that are not apparent in photographs are (1) the hooks on the top of the letters, (2) the apparent diagonal on the right side of the 'h' is due to a crease in the flag, and (3) the background colour is emerald green.